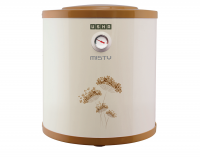 The Usha Misty 25L Ivory Gold Geyser Water Heater is a High grade Superior PUF insulation reduce heat loss, improves energy efficieny and enables faster heating. It is High grade heating element - Incoloy 800 element with glasslined enamel coating increases the life of element. 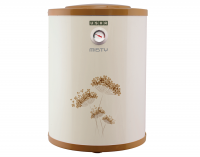 This Geyser Water Heater comes with High pressure withstanding capacity of upto 8 bar sutable for high rise building of upto 20 floors. It also comes with Multi function valve that releases pressure when temperature exceeds set limit and prevents backflow of water. Also drains out water when safety is breached. Capillary type high precision thermostat and thermal cut-out to cut off electricity when temperature exceeds set limit. 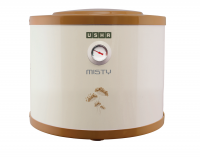 To Recieve updates and possible rewards for Usha Misty 25L Ivory Gold please sign in. To Recieve updates and possible rewards for Geyser/Water Heater please sign in.